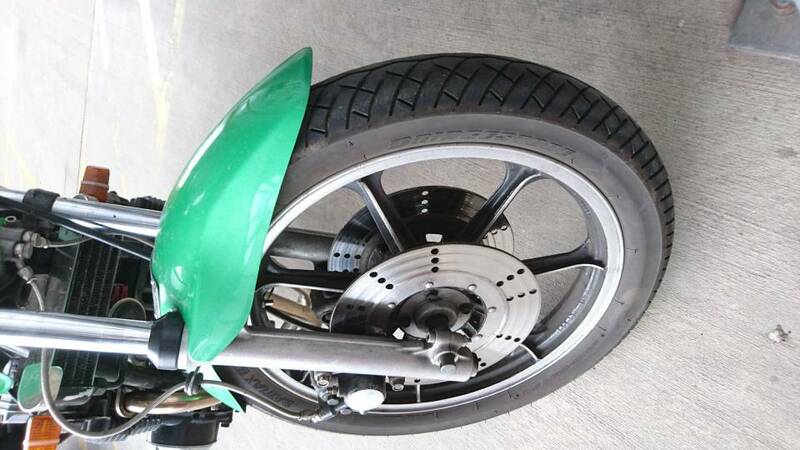 My bike is an odd mixture of bits so I'm not sure where to look to find my tyre pressures. It's in the log book as a KZ750. Would I follow the tyre pressures for European? I usually spend most of my time doing around 50-70 mph. 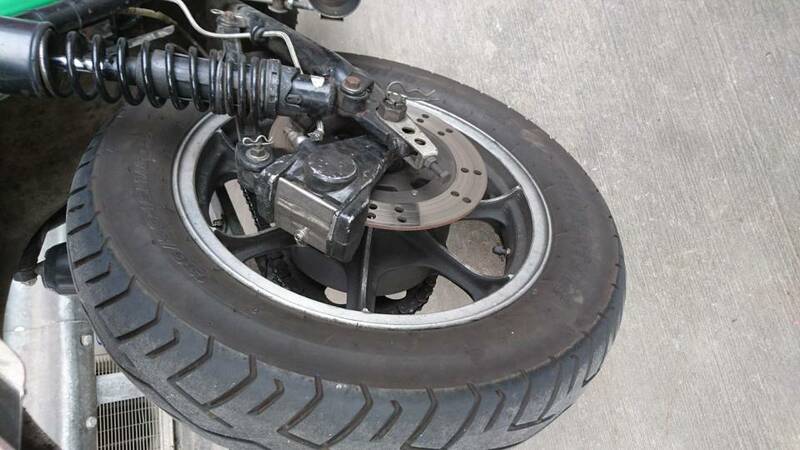 Would 25 psi in both be ok? 25 seems low to me. 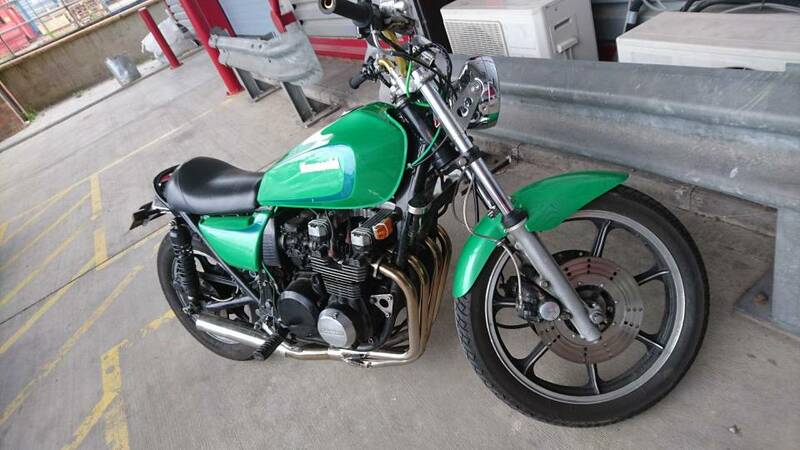 I have the same sizes on my KZ1000 and I run about 35 to 38 in mine. 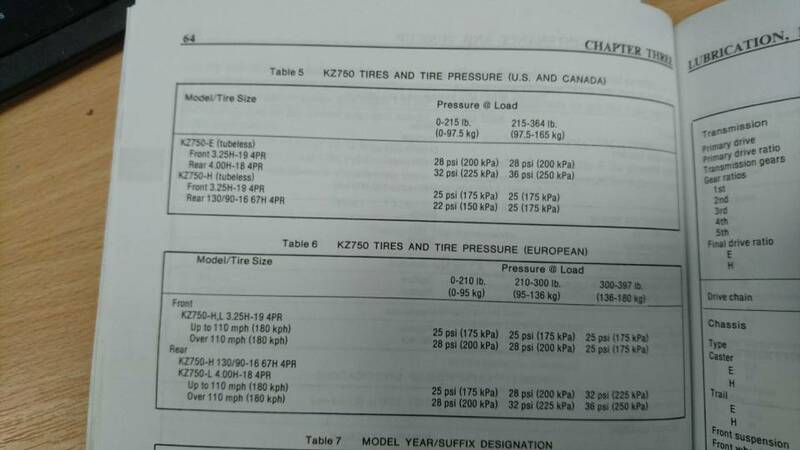 Tire pressure as indicated on the sidewall of the tires, not what's in the manual.